This programme records the meeting of two Russian musical giants, as Valery Gergiev, the most charismatic and dynamic conductor of our day, rehearses, performs and discusses Igor Stravinsky’s Le Sacre du printemps, a masterpiece of the twentieth-century. This visceral music is close to the maestro’s heart. 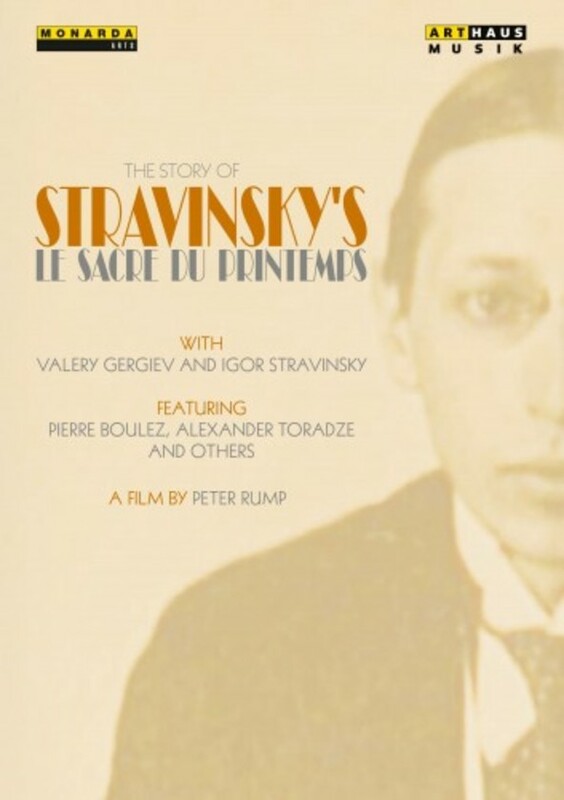 He not only talks about its history and demonstrates what makes it such an innovative, inspiring and exhilarating composition, but also explains his special affi nity with this work from Stravinsky’s “Russian period”. The theme of the Sacre is the primitive peasants’ appeasement of the new year deity that presides over earthly fertility and man’s survival. Stravinsky’s reiterated rhythms, harsh, massive blocks of harmony and dour, menacing scraps of basic melodic material evoke the first spring thaw for primitive man. The piece was written as ballet music, commissioned by Diaghilev and choreographed by Nijinsky for the Ballets Russes. The première of the Sacre ballet caused such a scandal that 29th May 1913 has gone down as the most notorious night in dance history. This programme includes extracts from a 1970’s Joffrey Ballet production of the Sacre, which used Nijinsky’s choreography and reconstructions of the original set and costume designs.